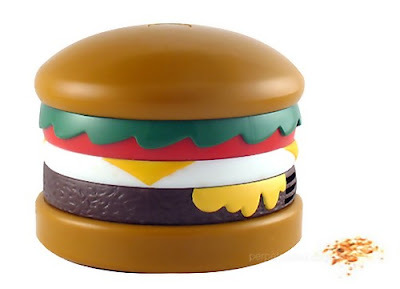 Collection of Creative and Cool Burger Inspired Gadgets and Designs from all over the world. 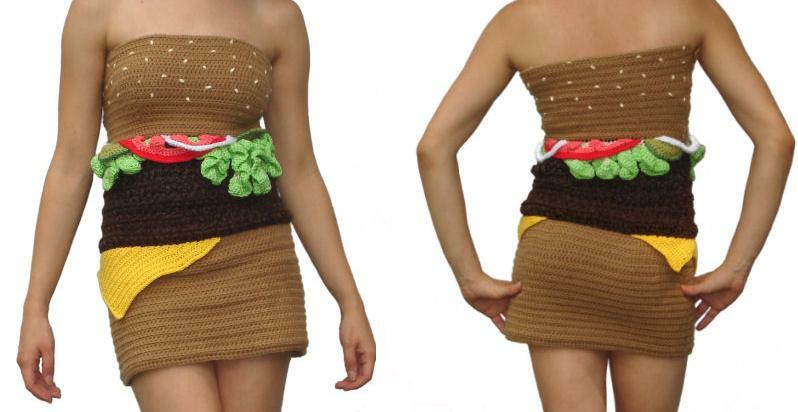 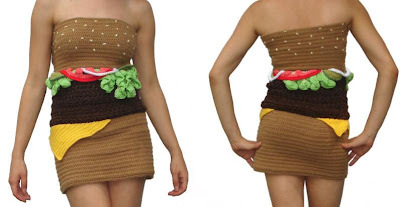 Hamburger Dress: A crocheted hamburger dress, that looks yummy. 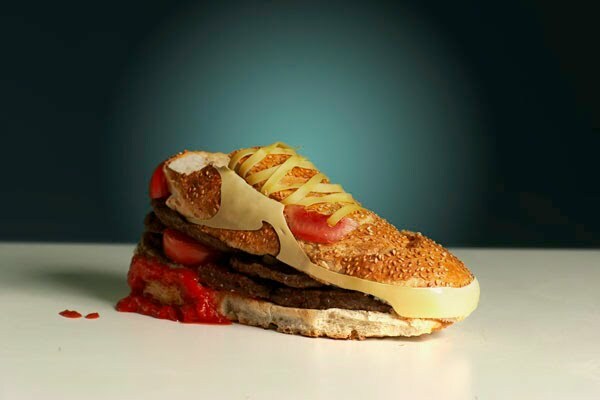 Hamburger Sneaker: When Olle Hemmendorff was asked for his take on Nike's Air Max 90 shoe, this is what he came up with. 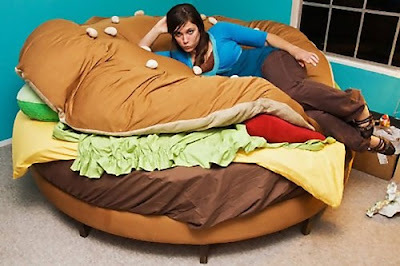 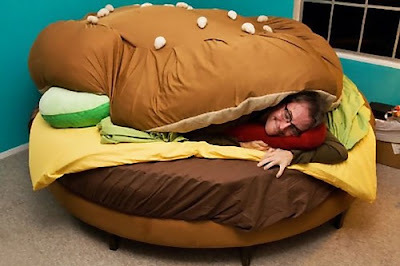 Hamburger Bed: Kayla Kromer created this huge burger bed that features all the trimmings, with pickle and tomato pillows, lettuce sheets, a round burger shaped mattress and a cheese slice quilt. 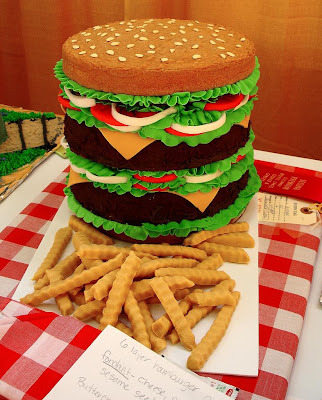 Burger Cupcakes: "These are vanilla and chocolate cupcakes with coconut as the lettuce and "ketchup" and "mustard" frosting." 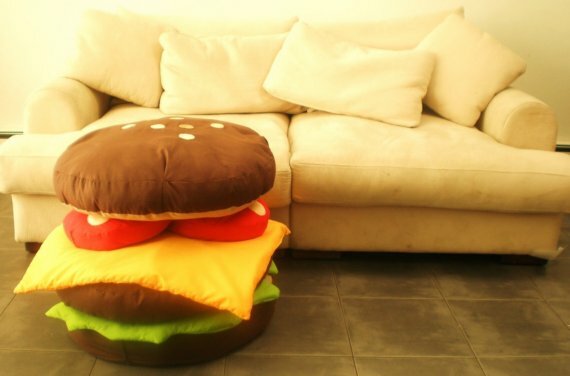 Hamburger Cushions: "Each cushion is approx 75cm across the middle, and the two tomato cushions are approx 35cm across the middle." 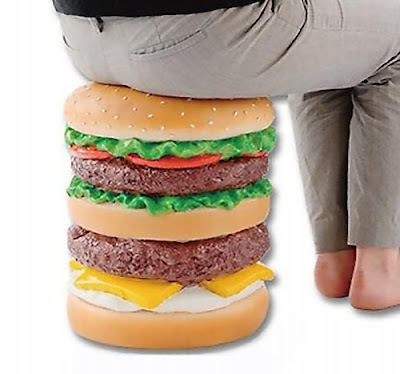 Hamburger Seating: This seating is made of bun, cheese, cutlets and vegetables, will be great addition to your furnishing. 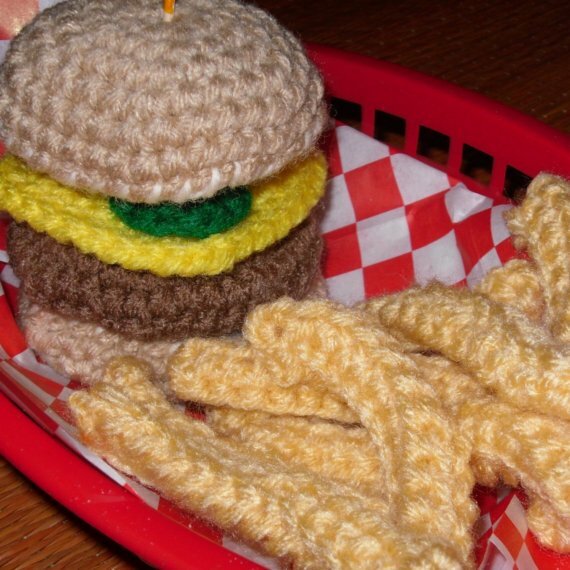 Fabric Burger and Fries: Tasty treat of burger and fries made of fabrics. 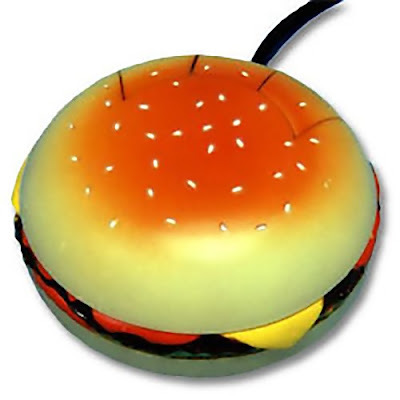 Hamburger Computer Mouse: It looks like a delicious burger with ketchup and a soft sesame seed bun, it comes with 6' cable, 250 dpi resolution with 500mm/sec tracking speed. 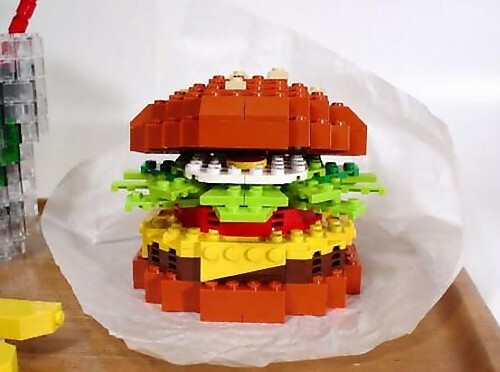 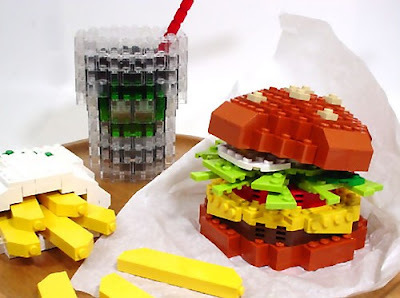 Hamburger Combos: The hamburger, french fries and the drink made from the most versatile bricks ever. 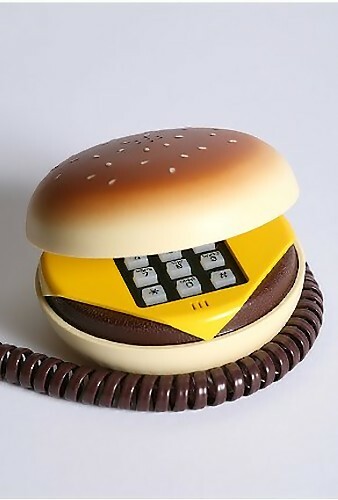 Hamburger Phone: The burger phone is the conventional telephone that features touch tone dialing, adjustable volume and last number redial. Hamburger Vacuum Cleaners: Its 4 inches in diameter and 3 inches tall, makes cleaning a breeze (and fun of course). 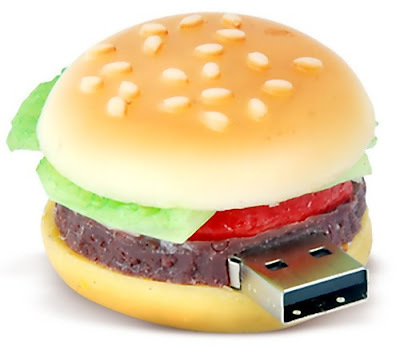 Hamburgers USB: It has a capacity of 8GB and is compatible with both Windows and Mac. 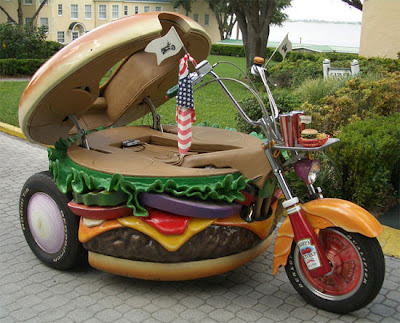 Hamburger Bike: The top bun can be flipped open to access the seating and the vegetables are all airbrush painted. 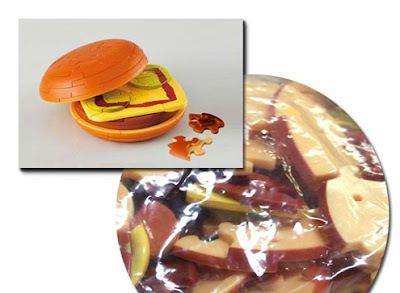 Hamburger Puzzle: " It's a 3D hamburger puzzle complete with 2 buns, a patty and cheese with ketchup." 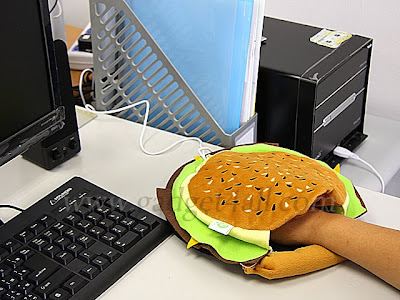 Hamburger Warmer Mouse Pad with Cover: This mouse pad has a built-in warmer, weighs just 100 grams and measures 260 x 242 x 38mm. 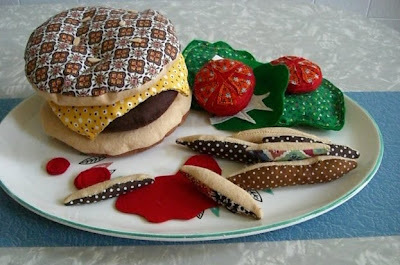 Ice & Snow Sculptures: Part - 3. Amazing Photos By Kerry Skarbakka.